Legendary or not, when a Pew Research Center report proclaimed The American Middle Class Is Losing Ground, that wise CEO came to mind. 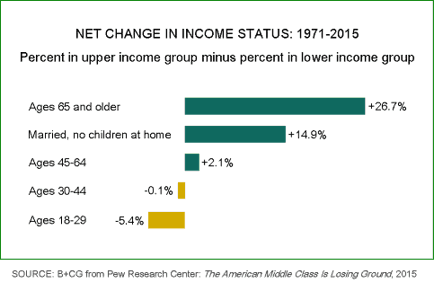 The headline grabber referred to the finding that in 2015 the middle class share of typical 3-person U.S. households was down from 1971 – 50% versus 61%. 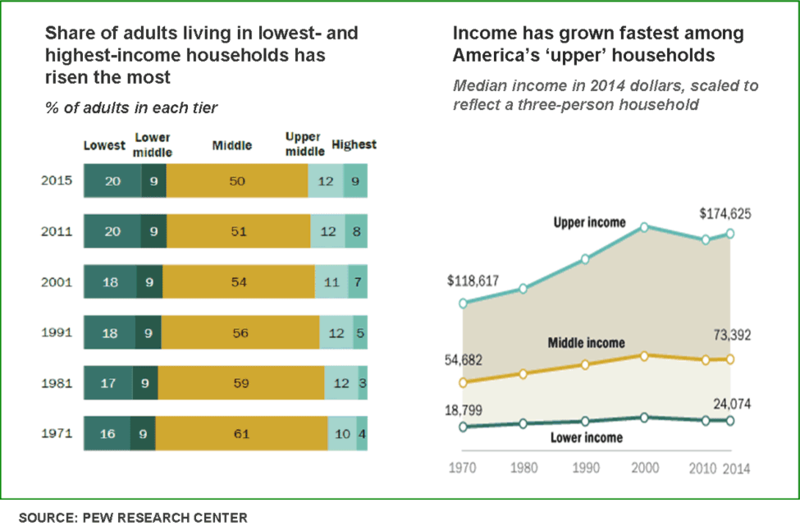 Driving this trend was the finding that income grew fastest among upper tier households. With fodder like this, the report triggered widespread two-handed analysis within the commentator class. Channeling Boomer childhood favorites Chicken “the sky is falling” Little and “play the glad game” Pollyanna, news reports skittered back and forth to achieve balance. To be fair, Pew’s fact-packed report provides ample material for both hand-wringers and cheerleaders. On the one hand… the Chicken Little focus – fraught with socially conscious angst – was on how America’s economic pie is disproportionately shared and seized on findings that the middle class is being hollowed out and low income ranks are growing. Upper-income families have“seven times as much wealth as middle-income families.” Back in 1983, the ratio was only three times. Americans 65 and older actually improved their income status far more than any other age group: 26.7% net upward movement since 1971. For Boomers and the American economy that last statistic is the most important. 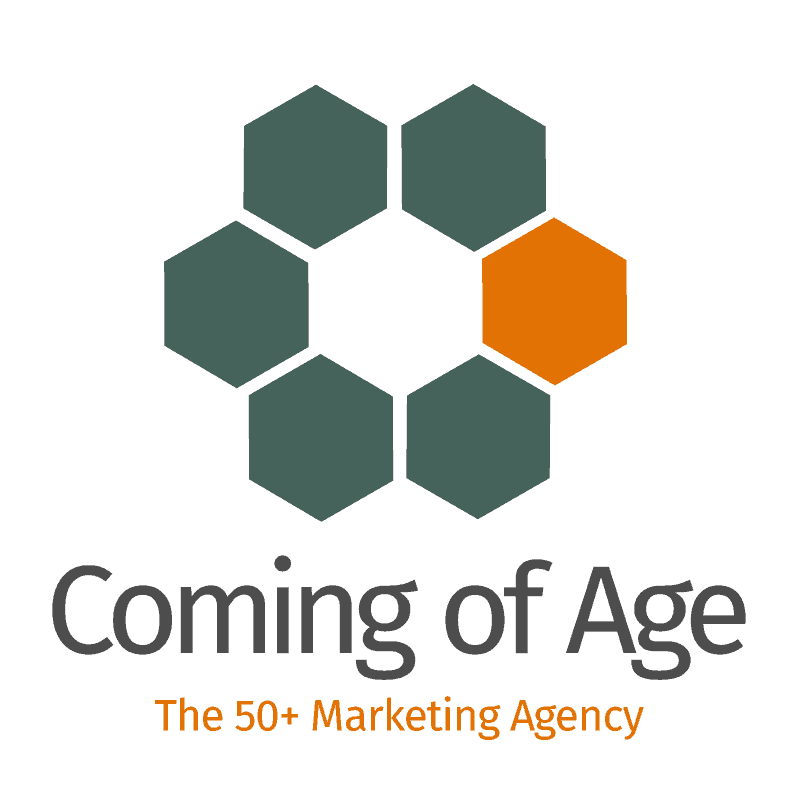 Question: who out in the real world, far from the gray domain of statisticians and social trend-trackers, personally experienced the beneficial changes in the forty-plus years between 1971 and 2015? In fact, Pew shows that Americans 65-plus and married empty-nesters were the only age demos to experience meaningful growth in income status 1971-2015. 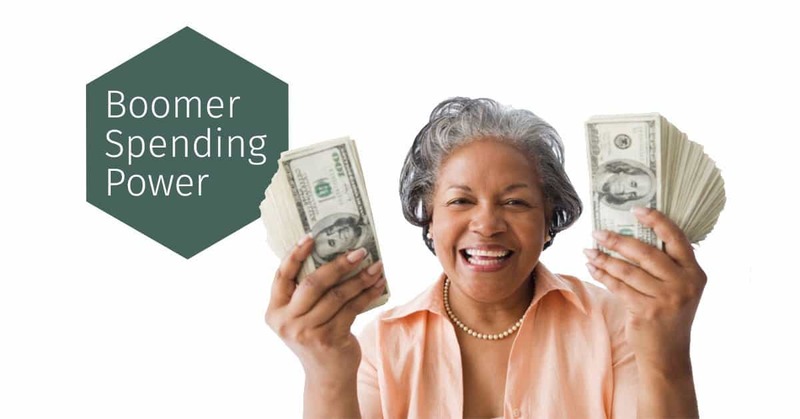 So, gloomy headlines aside, is it really a surprise that 80% of all U.S. household net worth is owned by the 111 million Americans aged fifty and up (AARP). 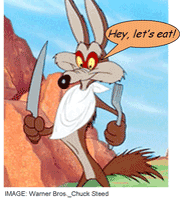 So, after the Chicken Littles and Pollyannas have had their say about Boomer spending power, it’s time to turn to Wile E. Coyote for an actionable bottom line. However, somewhere out there a hungry strategist is ordering an Acme Surefire Snag-a-Boomer Kit and stocking up on Grey Poupon. Genius.